Professional pet grooming parlour and boutique. We groom dogs and cats. We specialize in Yorkie pampering! Your hairdresser doesn’t give you a manicure and pedicure. You don’t wiggle, spin or try to jump out of the hairdressers chair. Your hairdresser only cuts the top of your head, not your whole body. You don’t poop or pee while you are getting your hair cut. You don’t go 6 weeks (or more) without brushing your hair. Your hairdresser doesn’t brush your teeth. Your hairdresser doesn’t have to de-matt your hair. Your hairdresser doesn’t give you a “sanitary trim”. Drying your hair doesn’t blow hair all around that gets on everything. Thorough grooming prior to bathing to detangle and remove dead coat. Bathing with specially formulated shampoo. Massage that helps to ease and relax your pet. Coat conditioning. Hand drying. Full grooming: remove natural shedding of your pet’s coat. Eye cleaning. Ear cleaning/plucking. Nail clipping and Hair cuts as per your request. Diesel Tanks and Pump Services: Suppliers of New & Reconditioned Diesel storage tanks, Diesel pumps and Diesel Bowzers. Buying of Second hand Bulk petroleum & LPG storage tanks. We do installations of diesel tanks & pumps,aswell as the civil works around installations. We also are Suppliers of petroleum equipment. We supply Diesel to our customers with the service of a tank and pump included in the deal. We supply the tank & pump, do the installation and deliver the diesel to your site (Gauteng only) Your delivered price per liter will be determined by the quantities to be delivered per month. You have the option of paying for the equipment that will be added to the price per liter or the equipment stays our property and we collect it after the contract period is finished .The contract period will also have a influence on the price. Contact us for a evaluation and quotation. Thank you for visiting our company page. At Somerset West Dental there is also a number of services offered including: orthodontics, dental crowns, whitening, orthopedics, veneers and dental bridges. Our dental practice is situated within the center of Somerset West and has been running for upwards of ten years. Additionally we offer you dental hygiene by our inhouse oral hygienist. Somerset West dental aim to provide comprehensive, long-lasting top quality oral hygiene. We provide every aspect of dental treatment using our own special interest in cosmetic dentistry (metallic free) whilst when using the the most up-to-date systems available. Hip-Hop/Funk, Modern, Tap, Callanetics, Contemporary and Rhythmic Gymnastics. Wedding Couples first dance choreography and private dance lessons. Fitness Classes – stretching and toning. 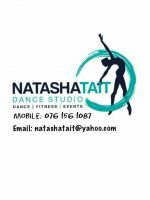 Beginners and Advanced Dance classes for all ages. Enter competitions, festivals, concerts and exams. Events Organiser, Entertainment for Corporate Events and Kids Parties. Corporate Team building and Kids Hip Hop Parties. Choreographer and Director for school plays and theatre shows. Welcome to Dentists@Health – Walmer, where we are dedicated to creating and maintaining healthy beautiful smiles in a spacious and modern environment. We provide excellent general dental care and are contracted to most medical aids and network options. We also provide advanced cosmetic, reconstructive and rehabilitative treatment including Dental implants, TMJ & Cranio-Facial pain treatment, Orthopedics & Orthodontics, Snoring & Sleep apnea solutions, Anti-aging injections & Fillers, etc. We provide excellent dental care in a spacious modern practice as well as Orthodontics, TMJ, Snoring, Sleep apnea, Headache and anti-aging solutions. Ilima Labantu is a long-term intervention, which responds directly to the urgent need to undo the legacy of neglect which is characterised by the loss of assets, such as land and livestock, and simultaneously the denial of opportunities to develop these assets through limiting access to markets, infrastructure and education. Accordingly, in its first term of implementation, Ilima Labantu will focus on five plus one central pillars, namely, land reform, agrarian transformation and food security, non-farm rural economy, infrastructure, social and human development, as well as enabling environment. The Province is convinced that results will include the narrowing of the rural and urban divide, as well as the emergence of sustainable and lively rural communities with universal access to services, infrastructure and development. As articulated in the Agrarian Transformation White Paper, rural development refers to the process of achieving a better quality of life for people living in rural areas. Development does not simply represent to economic growth, but encompasses equality of opportunity, greater individual freedom, richer cultural life, independence, self esteem and freedom from ignorance, human misery and servitude. Acting as the governments’ agent for performing any development-related tasks and responsibilities that the government considers may be more efficiently or effectively performed by a corporate entity. Facilitating the participation of the private sector and community organizations in rural development programmes. ECRDA aims to drive, coordinate and facilitate implementation of integrated high impact programmes of rural development and agrarian reform in the Eastern Cape by forming partnerships with rural communities, the private sector and other public sector organisations and departments with the main objective of building a vibrant and sustainable rural economy. Domestic, commercial dry cleaners, launderers, curtains.